Brian Dennehy is a cop who also writes books – which obviously aren’t very good or he wouldn’t still be on the beat surely? – and James Woods is a hit man who has been turned away by his boss, presumably for losing his touch, or summit. So neither is very good, seemingly, but they set out to hatch a thrilling and clever plan. They haven’t really thought this through, have they? Not bad, though. 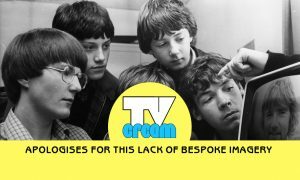 The TV Cream (Easter) Egg Scheduling Challenge!